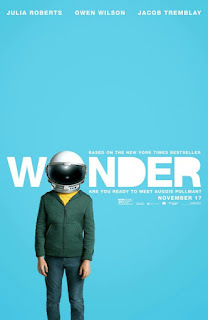 “Wonder” has all the trappings of a feel-good picture that tells audiences how to feel and tests their sugar tolerance. It is sentimental, sure, but this adaptation of the 2012 bestseller by R.J. Palacio about a boy with a facial difference knows just when to reel in the emotions and make the puppet strings invisible, just like 1985’s “Mask.” Just as he did in adapting his own YA novel and making one of the most truthful, relatable and special high school-set films out of it with 2012’s “The Perks of Being a Wallflower,” director and co-writer Stephen Chbosky keeps any potential mawkishness and overt emotional manipulation in check. 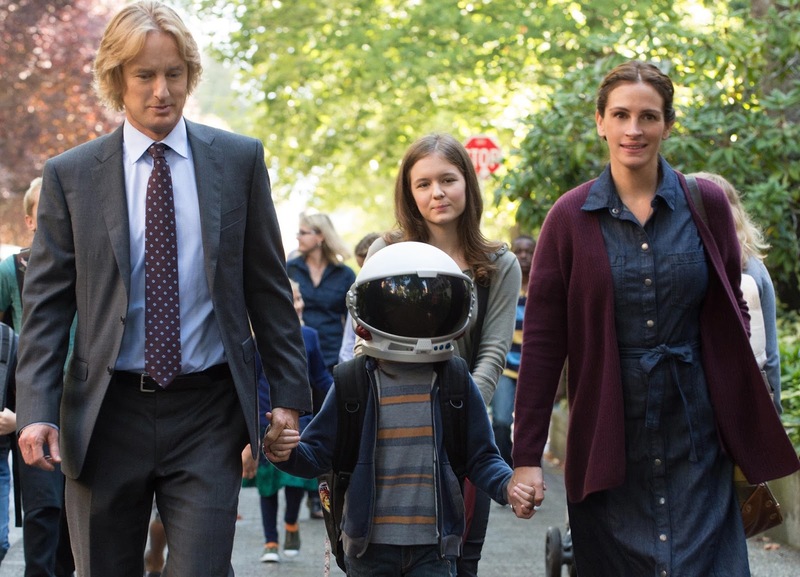 Humane and open-hearted rather than cloying, “Wonder” never goes for a cheap cry, even with the passing of a pet, but sneaks up on audiences without pandering or straining to be inspirational. August “Auggie” Pullman (Jacob Tremblay) is an intelligent 10-year-old boy born with a congenital disorder that caused facial disfigurement, having endured 27 surgeries that have allowed him to breathe, hear and have a face, but otherwise, he considers himself a pretty ordinary kid. Having homeschooled Auggie in their New York brownstone home all these years, mother Isabel (Julia Roberts) and husband Nate (Owen Wilson) decide it’s time to enroll their son in a new school for fifth grade. 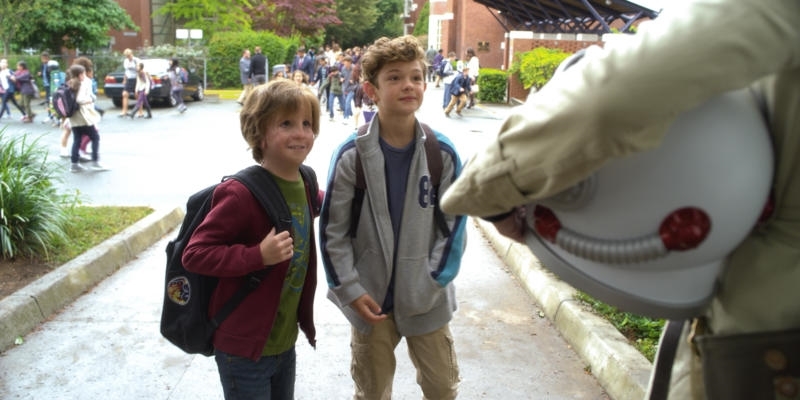 Beecher Prep School’s principal, Mr. Tushman (Mandy Patinkin), supports Auggie and has him get shown around by three students, including rich-kid bully Julian (Bryce Gheisar), chatty commercial-actress Charlotte (Elle McKinnon), and scholarship student Jack Will (Noah Jupe) who gives Auggie a chance. At first, he wears an astronaut helmet to hide himself from the world, but eventually, Auggie will become more comfortable in his own skin when others begin treating him the way he should be treated. As Auggie’s older sister Via (Izabela Vidovic) puts it, “Auggie is the sun,” but everyone in the cast gets more than enough to do. The screenplay by Stephen Chbosky, Steven Conrad (2015’s “Unfinished Business”), and Jack Thorne (2014’s “A Long Way Down”) takes time to delve deeper, fleshing out and actually listening to other characters who get their own chapter headings and vantage points. Via has a rough time at school but doesn’t share it with her parents since they’re more worried about Auggie adjusting and takes a chance by signing up for theater; Jack Will carries on a friendship with Auggie, going over to his house and playing video games, and then around Halloween makes the mistake of saying a cruel remark about Auggie to his other friends; and Via’s former best friend Miranda (Danielle Rose Russell) has rebelled after returning from summer camp with pink streaks in her hair and sitting with a different social circle at lunch. As the film sheds light on the people in Auggie’s life and sensitively sees them beyond shades of black and white, it finds a relatable truth in that one never knows what’s actually going on in one’s life, so why judge? What keeps the film from turning Auggie into a saintly mascot that everyone can learn from is making Auggie and everyone around him feel like an actual human being. Jacob Tremblay, who got his revelatory start in 2015’s “Room,” is adorable but pours so much humanity and humor into Auggie that the transformative make-up never distracts or does all of the acting. Izabela Vidovic (2013's "Homefront") is emotionally available as Via who has trained herself to be self-sufficient and bottle up a lot, and there’s a lovely, moving scene on the Coney Island shore with the grandmother she called Grans (Sonia Braga), Via’s greatest support system who is now gone. 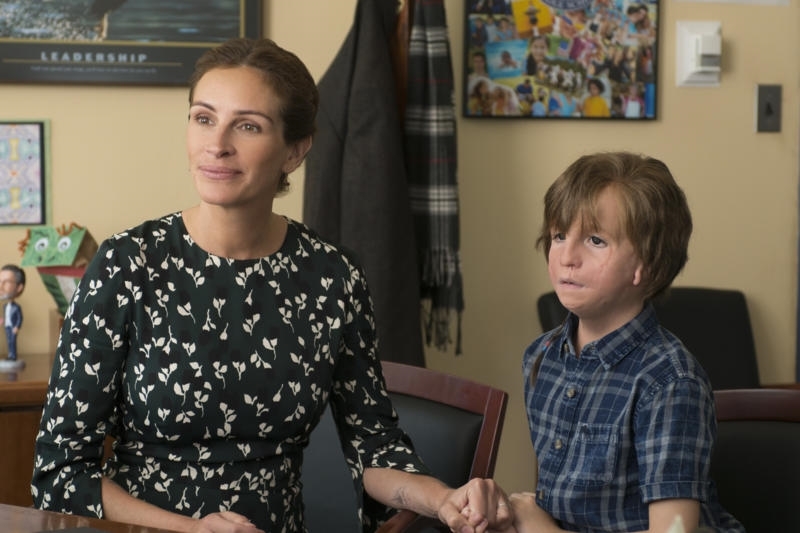 Julia Roberts never hits a false note as Isabel, a loving parent who, by placing all of her attention on Auggie, has failed to realize the neglect of her eldest and finally finds time to finish her dissertation that she put on hold while homeschooling her son. 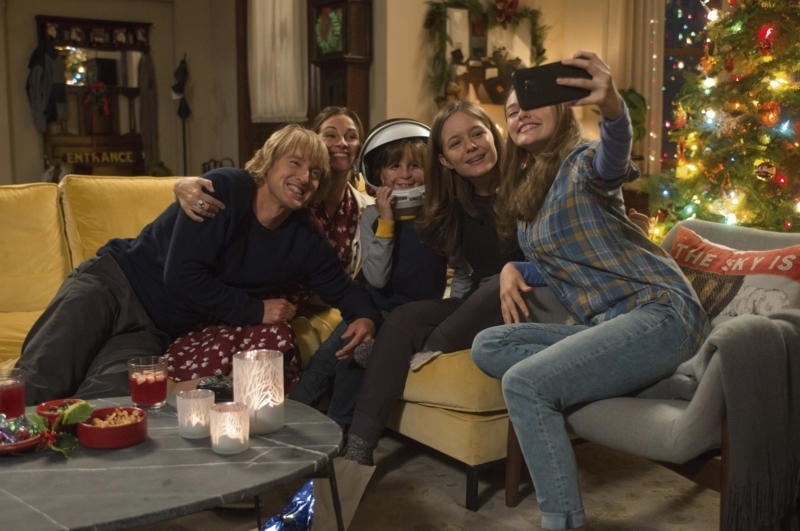 Next to Roberts’ Isabel, father Nate might be dealt the most underwritten, almost too-good-to-be-true part in Auggie’s immediate family, but casting Owen Wilson as a cool, understanding parent makes up for that. Also, Noah Jupe (2017's "Suburbicon") is as much of a natural as Tremblay in playing Jack Will and Broadway’s “Hamilton” actor Daveed Diggs lends charisma and support as teacher Mr. Browne. “Wonder” might be unabashed in its use of the standing ovation cliché twice during both Via’s school production of “Our Town” and Auggie’s elementary school graduation, but even those moments work and make one in the audience want to stand up and cheer. Because Auggie and other characters are so believably developed before this point, the film earns such a cinematic stand-by. It also helps that Stephen Chbosky’s direction is almost always character-oriented and low-key, aside from whimsical flourishes involving “Star Wars” characters and Auggie joyfully running down the school hallway in an astronaut suit to convey the character's active imagination and love of science. Handled with wit, grace, and more subtlety than expected, “Wonder” is a heart-driven celebration of compassion and empathy. Tidy but more than just an “anti-bullying” message movie, this is a gentle, emotionally earnest film for anyone who follows the golden rule in his or her own life. Every sniffle, tear of joy, and lump in one’s throat is earned.